The aim of the Associate Touring Network is to increase engagement with and enjoyment of outdoor arts at a regional and national level and to collect evidence to develop audiences for the network and for the sector. To collate and disseminate feedback to festivals to improve audience experience. The shared learning from our last ATN project played a key part in helping to position the UK sector as the leading authority on audience development in the Outdoor sector. Without Walls is excited to be supporting the new Associate Touring Network partners with their audience development activities. All of the partners are in areas where people have low engagement with arts and culture. In 2017, each of the partners delivered a range of activities to increase engagement with target audiences. For many partners, the focus is around developing their events to appeal to families and BME communities. Following the appointment of Artistic Director, SO Festival is developing itself as a classical street theatre festival with a focus on events in the town centre with a family-friendly programme in safe green open spaces and interactive performances in the streets. The idea about the new festival concept is to build a bridge between audiences and artists so that artists learn that cultural and artistic activities also have an essential role to play in areas that is considered “less beautiful” or where people are pursuing other values. 1. Develop a family programme in a location called Tower Gardens, an open green space that is considered to be the heart of the festival. Our vision to programme a series of shows to create a safe family space within the festival. 2. 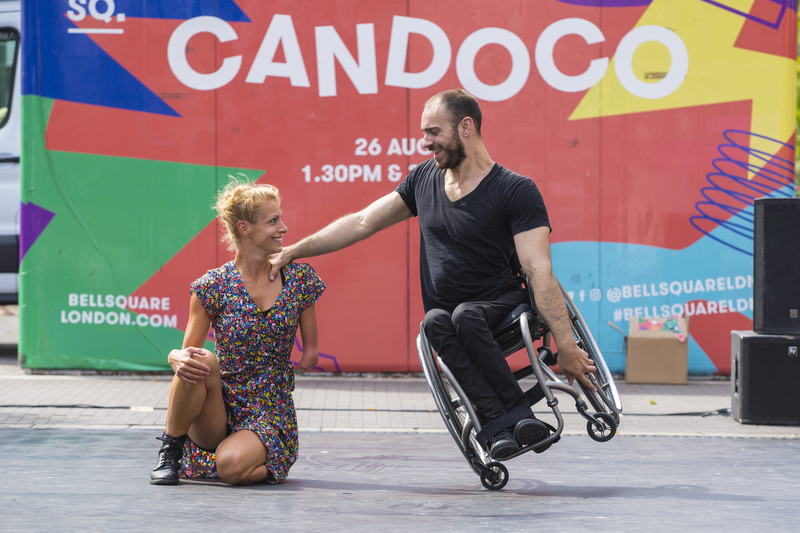 Present specially adapted shows in the streets of Skegness, working with the iconography and daily interactions and happenings in the streets of Skegness (Artistic Company – 1 Watt from France). 3. Organise a “reverse” walk as the finale of the festival directed by The Desperate Men. A “reverse” walk will take place from the festival centre (Proposed Tower Gardens) to the periphery of Skegness (Proposed Eco Centre). This will engage people by organising meetings with targeted groups throughout June / July and a number of workshops will take place in the week leading up to the Festival. 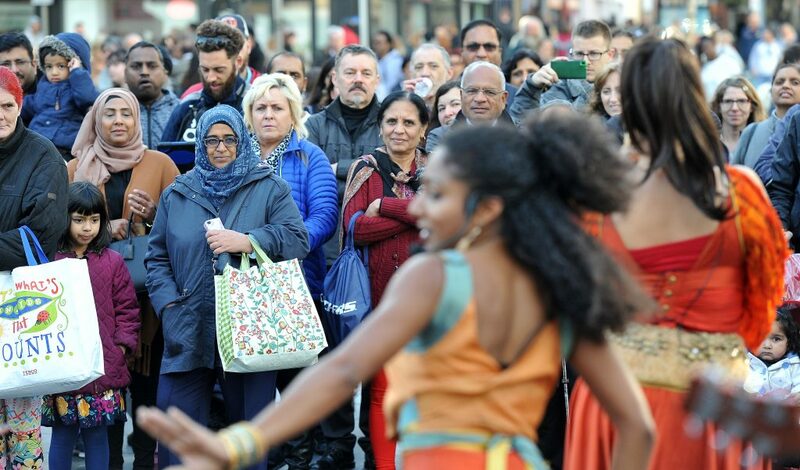 The “reverse” walk will also engage audiences who are interested in the project and come to watch, as well as attracting audiences who unexpectedly come across the performance on the day. The walk will have a young female video artist working with a group of young people using their smartphones to film. 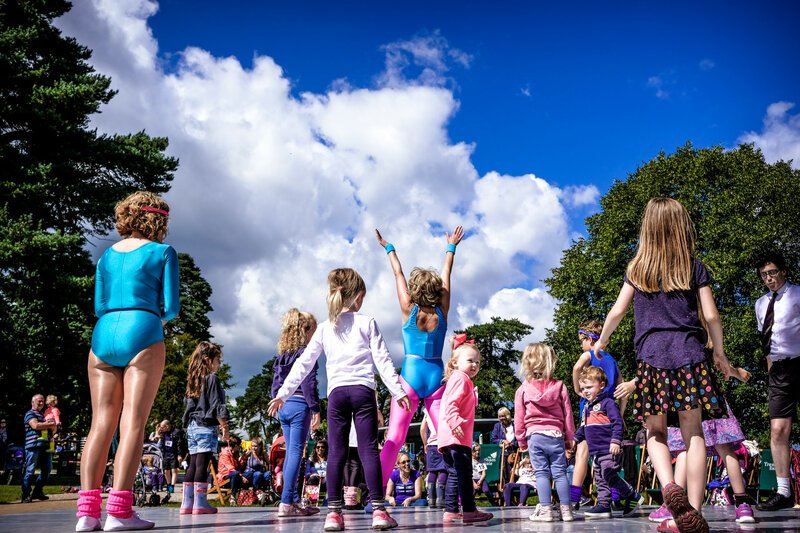 Freedom Festival will deliver a series of performance-based engagement sessions in targeted areas to engage families and children and young people. They will work with CPP Hull to identify most effective engagement channels, devise key messaging and identify community leaders who will help them to promote activity and ensure high level of engagement. Use their position as hosts of Hull International Carnival to engage broader BAME audience. 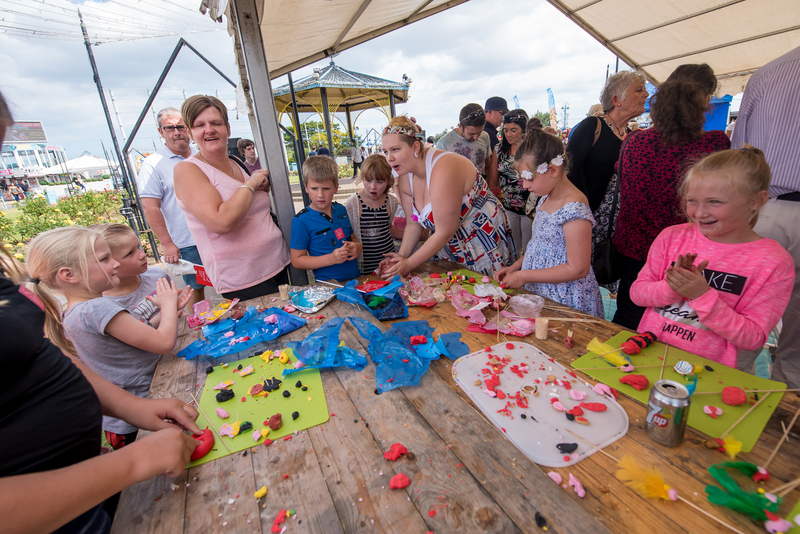 Actively promote pre-festival workshops and participate in carnival maker sessions to engage with broader audience. 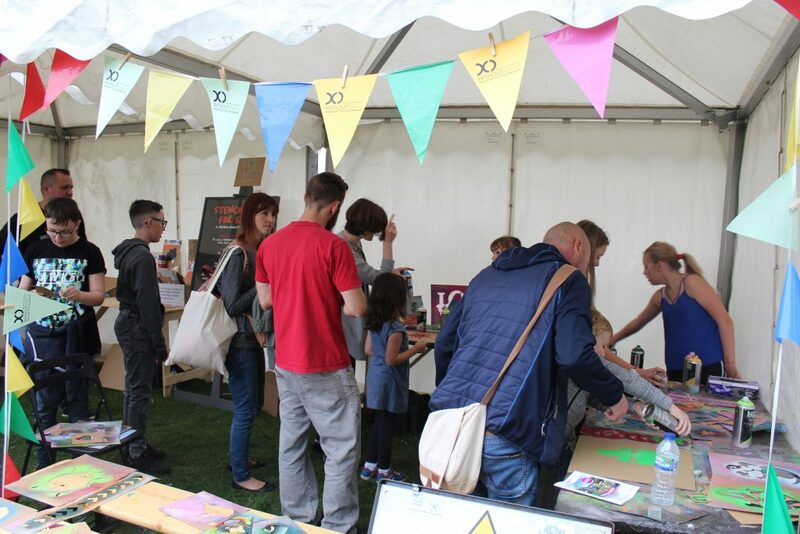 Host engagement sessions/volunteer & participatory sign-up sessions at Open Doors and HANA events pre-festival to encourage direct participation in festival activities. 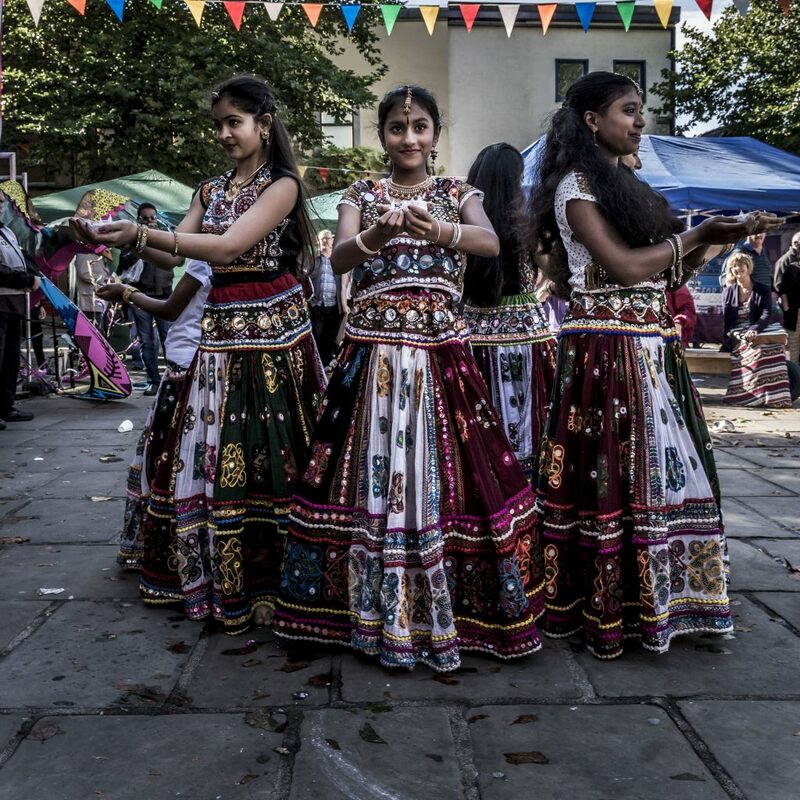 Engage HANA/Open Doors members in the Mini Feast projects to ensure the delivery of a multicultural feast x 2 pre-festival and to provide an opportunity to encourage sign up for both the mini feast and the main festival feast amongst BAME communities. The overall aim of Appetite is to get more people to experience and be inspired by the arts. Organising a programme taster activity and creative workshops for toddlers under The Museum of The Moon, working with Children’s Centres and Libraries prior to The Museum of the Moon and during The Museum of The Moon and in turn the Big Feast weekend. Having a family activity area at festival working with Wavemaker. This may include some lead-up activity prior to the Festival to encourage people to participate and attend. Distributing a Family Pack to feature pre-event activities that tie into attendance at The Museum of the Moon and un turn The Big Feast Festival. Inviting members of the YMCA (and possibly other youth organisations such as Prince’s Trust) to create a schedule of events tailored to them and plan transport to the festival. Working with committed members of the youth group to become Youth Ambassadors and promote the festival to their friends. .
To provide clear information, in a listicle style social media campaign, on what to expect at the event from what the art is to how to get there, is there seating etc. City Centre Ambassador to focus on distribution of promotional materials alongside detailed conversations with local businesses. Reserving space in audience area for wheelchair users. Including clearer information in brochure and share through local outreach organisations such as Access to Entertainment Forum and Deaf Vibes Group. We will target groups who work with disabled people (this includes Deaf Vibes and Access to Entertainment). This would be approximately 30 people. Working with a Digital Ambassador with a disability to conduct interviews with artists as part of Cultural Reporter programme. Including integrated performances in programme. Utilising a BSL speaking ambassador to complete online and outreach activities ahead of the festival highlighting particular shows that have no language barriers or shows that we can offer BSL interpretation for. Creating a series of talks and activities that will feature under The Museum of the Moon that are relevant for this group as outreach activity. Key Fest's pre-Festival workshops/events will tie in closely with the Festival programme. 10th August - Cathedral Square Carousel Performance: this is following on from Faust at Key Feste and other dance performances in Cathedral Square. Carousel is quite spectacular to watch and the set-up is intriguing to bring people to see it. Vivacity will be using this opportunity to tell people about the following day's Once Upon a Festival as well as talking about the Museum of the Moon and Sufi:Zen. They will hand out the programme, Save the Date postcards about Sufi:Zen and Museum of the Moon. Artist-led Family Workshops during the day Making a card Baba Yaga’s House as props to use during the performance the next day at Once Upon a Story Festival. Making Bee Beds with pop-out Bees. Festival Décor -June In the months leading up to the events, Vivacity will work with the Ladies Network Group to make festival décor for both ‘Once Upon a Festival’ and the 'Museum of the Moon’, making flags and banners using different colours and patterns that mean something to the different communities, this has already come out of an informal meeting with community groups. The ladies will run family workshops at the Museum for the public to contribute to the fabrication and printing workshops at the Story Festival. They will use printing and sewing; the workshops will potentially be led by artist Chila Burman. These flags and panels can be reused in the festival in the future. This will be a project led by women, due to cultural sensitivity but also allowing women suffering from isolation to feel comfortable to participate. The groups that Vivacity is planning to work with are Zimbabwean, Bangladeshi, Kurdish, Roma, Pakistani, Indian, eastern European. The project will continue with the creation of an exhibition of Fabric of the World in the Autumn. Working with this group will open up a lot of networks across communities to spread the word about the programme. Museum of the Moon- Cathedral A number of community events will take place when Museum of the Moon will be in the Cathedral. These will include a Zimbabwean group and poet, a Polish music school and a young musician’s concert organized by the Music Hub. Vivacity is planning to offer a platform to perform under the Moon to many organisations, thus bringing in people from as many cultures as possible. Since the Moon means so much too many communities, Vivacity have approached organisations such as the poetry network, choirs, community groups and the Music Hub to put a call out for performers. Bell Square will continue to focus on social media to build profile of and engagement with the Bell Square programme among the local Kaleidoscope Creativity and broader Experience Seeker segments. To develop this work, BS will generate more compelling, real-time and audience-led content with the addition of a community manager who will attend events with the sole purpose of engaging with audiences and generating motivating content. BS will also increase their focus on building their Instagram channel, because of its importance to younger audiences, and because its visual nature supports engagement with those whose first language is not English. This will be supported both by the community manager and Sprout Social technology now allowing us to schedule Instagram posts in the same way we have successfully been able to do with Twitter and Facebook. BS will continue their blogger programme, both encouraging and nurturing volunteer bloggers and generating regular blog content from professional bloggers and our own artistic director. To add to this, Bell Square will increase their focus on the Polish audience by adding a Polish blogger who will generate Polish language content and use their network to access Polish audiences in an engaging way. This will complement the work being undertaken to build grass-roots engagement with this audience by CPP Hounslow* and the increased focus on bringing Polish artists to Bell Square being explored in tandem with the DNFestival in Doncaster, with a visit to the Ulica Festiva in Poland coming up. *CPP Hounslow is in the process of recruiting a Polish Community Arts Worker, who will be tasked with building relationships with local Polish groups and promoting the programme to the Polish audience. This year's programme of activity has grown and evolved to spread festival activity across the full year, as well as across a number of sites. This has been introduced as a means to create opportunities for people to engage with high-quality work across the year and across a number of settings, drawing in new audiences and working to eliminate barriers. RUOS aims to establish a high quality, borough-wide activity that supports and enables different segments of our boroughs community to feel confident enough to participate. 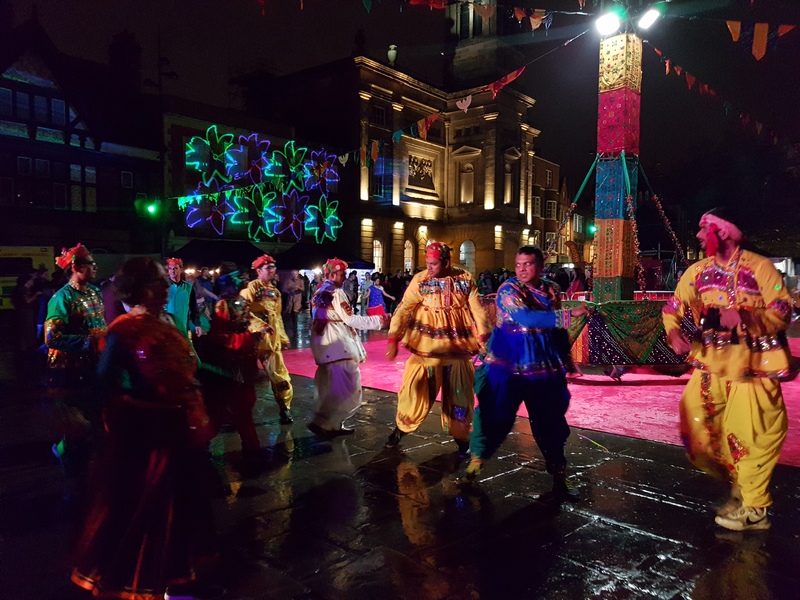 This year-long festival activity will now include DN Festival (27th & 28th July), Balby by the Sea (11th August) some partnership involvement in The Global Streets programme (September) and DN Festival of Light (16th November) DN Festival. Areas of delivery for the festival elements of our work are Sir Nigel Gresley Square (A public space outside Cast Theatre), the village at Waterdale (Shopping centre with a number of disused shop units), Doncaster Minster and it’s grounds and finally Balby (Delivering from a working mans club in the heart of the community). 1. Better supporting access and participation of D/deaf & disabled audiences RUOS will look to work with practitioners, as well as employ or engage festival volunteers festival who are D/deaf or Disabled. They will work to expand their own learning and better embed themselves in the work of their consultation panel. This approach will include training via the Arts Marketing Association - Reaching Deaf Audiences Training. Attending Deaf Awareness Week events - Specifically a Networking and awareness breakfast, Doncaster Deaf Trust. Initial research shows that for example, learning disabled students have a generally low literacy level so RUOS would consider this when thinking of the best ways to communicate to people and advisory partners have already offered to translate festival site signage into Makaton-friendly imagery. 2. Grow relationship with culturally diverse communities in the Town Centre with a particular focus on Eastern European communities as well as the refugee/migrant community. 4. Test more creative approaches to data collection Working with specifically trained experts will be one approach taken to ensure that we capture the more quantitative data, but there will be a number of more creative/digital approaches to quantitative and anecdotal data. This will include Makaton trained festival staff, accessible evaluations, vox-pops etc. RUOS will also look to engage/take part in creative approaches commissioned jointly with the wider ATN. As part of their audience development activities, Lancashire Encounter will appoint a new part-time Support Outreach (Audience Development) worker who will support the engagement and delivery of one of the two outreach projects to continue to build a countywide network reaching County-wide audiences who will participate and attend Lancashire Encounter. Relationships have been maintained with community participants who engaged with Brief Encounters 2017 Mini Procession of Light and Trespass. Encounters Aim: Evaluate and Evolve. In addition to appointing the ATN Audience Development funded Support Outreach (Audience Development) worker and More Music Morecambe, Preston City Council will financially contribute to further audience development activities. They will continue to use traditional ways of collecting data i.e. paper forms and IPad’s to help completing Lancashire Encounters full event evaluation. In addition, they are also looking into engaging new ways of gathering more data and feedback from our audiences. To help to achieve this at Encounters 2018 they are investigating potentially using two new companies: DOINK (a company who humanise data) and James Macpherson (Artzani) to map audiences and their movements. Leading up to and over the week of the City Festival (August 2018) The Spark will create a programme of audience development activity in the outer wards of the city. They will utilize existing relationships with Leicester Neighborhoods and Libraries identifying and working in 6 of the city’s busy libraries and neighbourhood centers to support and encourage attendance at The City Festival, specifically the Without Walls programme. •	Briefings with individual libraries, library managers and frontline staff delivering a toolkit to support further audience development by library staff. The toolkit will provide tips and conversation starters designed to support library staff to talk about The City Festival as well as key marketing tools such as posters/flyers etc. •	A creative engagement programme Mischief Inc. which will feature ‘character walkabout’ designed to deliver performative and participatory intervention and engage families in creative conversations and activity. Delivered in the library settings to families at scheduled times – likely to be a morning or afternoon session (45 min). •	Mischief Inc. walkabout intervention delivered beyond the library setting to locations such as; the local park, shopping centres, leisure centres. Each library will be scoped out for local public places to visit post the morning or afternoon library session (45 min). •	A presence ‘on site’ at the City Festival to provide The Spark with an opportunity to re-engage with Mischief Inc. and monitor families attending the City Festival. •	An online presence for Mischief Inc. inviting families to ‘follow’ and ‘friend’ Mischief Inc. and ongoing activity with the aim of generating a digital community. 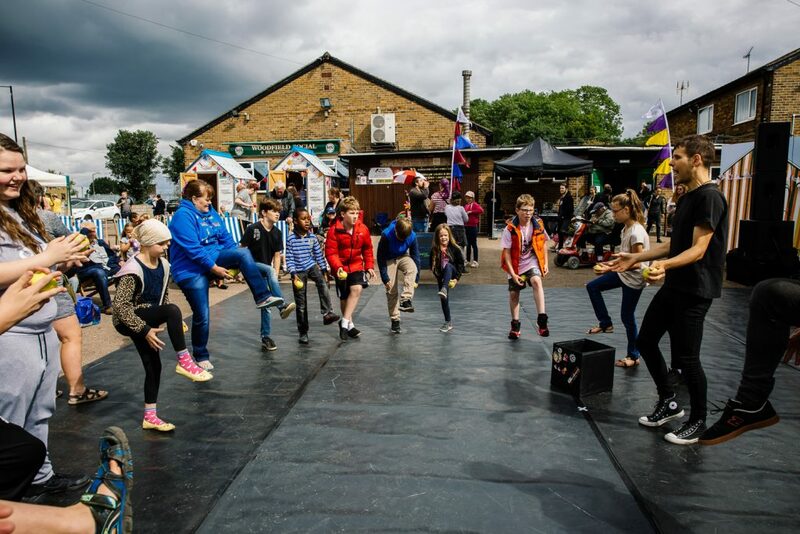 In 2018 the festival will utilise the same Festé Community Hub model as 2017, which entails the recruitment of Derby residents to take part and actively be programmed into the festival through a Saturday Circus/Carnival Parade. The Parade will play an important audience development role, having been designed to appeal widely to communities across the city as a substantial and inclusive community engagement project. After receiving feedback from local community groups, the opportunity to represent their community’s heritage is a hugely appealing and positive motivation for engagement. As such, The Parade will act as an incentive for participation, whilst offering a level of artistic input and freedom for the community groups involved. The Parade will celebrate circus whilst showcasing the rich and diverse tapestry of Derby’s residents, culture and heritage. The Parade will last around 45 minutes, journeying through the centre of the city being joined the 4 community hubs along the way at selected locations. As each community hub joins the parade there will be the opportunity for a mini performances to take place in these selected locations before it continues to the Market Place. As in 2017, the event will be shaped by high-quality artists, but created and delivered by local people, with the festival holding dance and circus skills workshops with members of the local community, which will culminate in the Saturday Circus / Carnival Parade. These community hubs will include: Indian Community Centre, Bosnian Community Centre, West Indian Community Centre, Age UK Chaddesden. The attendance for these for the workshops will be as follows – Dance & Circus Skills Workshops: 4 x 4 hours Sessions in Community Hubs – 20 participants each workshop It can be anticipated that each person will bring on average 3 people with them to the performance as audience members and as such a total of around 320 people will be meaningfully engaged through this activity. Find out more about the ATN Audience Development activities in 2017. Find out more about the ATN Audience Development activities in 2016.